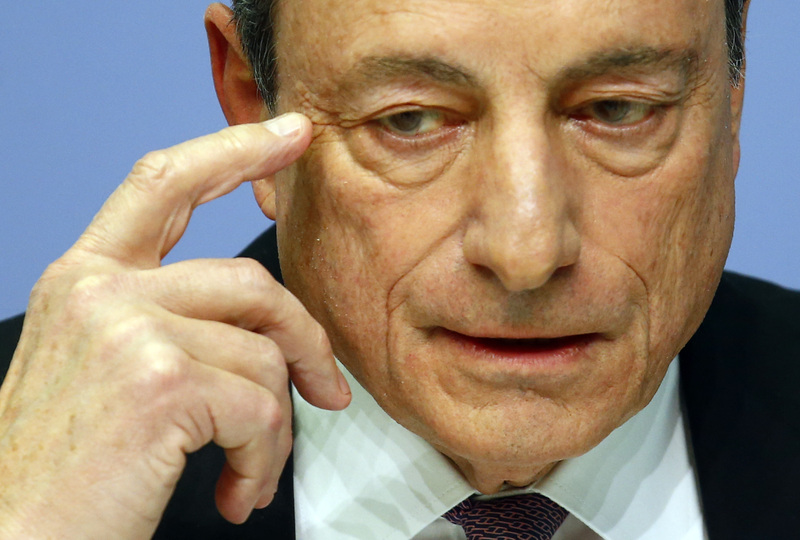 The European Central Bank president has started laying the groundwork to end three years of asset purchases. But there’s a growing danger that his careful preparations will be thrown off course by U.S. protectionism, euro zone politics, or unwelcome market moves. The European Central Bank on March 8 dropped a long-standing pledge to increase its bond-buying programme if necessary to boost inflation. The promise had been included since 2016 in statements on monetary policy decisions. The omitted phrase stated that “if the outlook becomes less favourable, or if financial conditions become inconsistent with further progress towards a sustained adjustment in the path of inflation, the Governing Council stands ready to increase the asset purchase programme in terms of size and/or duration”. The ECB is currently buying 30 billion euros of government and private sector bonds each month to bring inflation closer to its target of just below 2 percent. The purchases were cut from a peak of 80 billion euros a month. The programme will run at least until September. Ten-year German Bund yields rose as much as 3 basis points to 70 basis points after the announcement. The yield was 68 basis points at 1350 GMT.